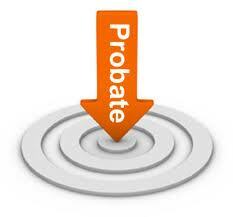 Home » Blog » Financial Planning » I am the Estate Trustee Do I Have to Probate the Will? As a Wills and Estates lawyer, I can tell you that there are many misconceptions about the role of a Will in dealing with a person’s estate and the process that is most often referred to as ‘Probate’. The simple definition of Probate is “the process of legally establishing the validity of a Will before a judicial authority”. One misconception in Ontario is that the term probate is no longer the proper term (although it is still colloquially used by many). The process is now referred to as an ‘Application for Appointment of Estate Trustee With a Will’. Upon approval, the court will issue a certificate of appointment of the estate trustee. This certificate acts as evidence of the estate trustee’s authority to administer the assets of the estate. Another misconception is that every Will must go through the probate process before the named executor (aka estate trustee) can begin administering the estate. This is not true. In fact, one of the purposes of the estate planning done by a person prior to death is to try to avoid probate for some or all of the estate assets. However, probate cannot always be avoided as one of the primary reasons the certificate of appointment is required is to provide comfort to those who have to deal with the estate trustee, such as banks, creditors, insurers and individuals who are purchasing real estate from the estate. Technically, the estate trustee’s authority is established simply by being named by the deceased in the Will. However, for many stakeholders that have to deal with the estate trustee and the assets of the estate, they will insist on the certificate of appointment of the estate trustee in order to lessen and/or eliminate their future liability if it is later determined that the estate trustee did not have the proper authority to administer the estate. You can find more information on this topic on the Ontario Ministry of the Attorney General’s website. My next blog post will discuss the application process to receive the certificate of appointment of the estate trustee.